In today's day and age of globalisation, it is an understatement to say that it is important to address your target audience in the language they usually talk and expect to read a website in when they access the Internet. There is not much point in targeting a German-speaking audience with an English website. 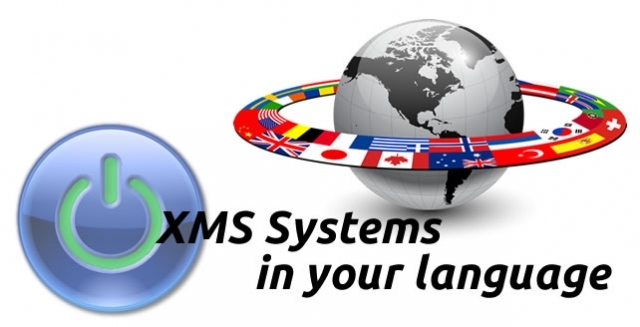 XMS Systems now makes it easy to not only have your content in the language of your choice but you can translate any aspect of the client facing side of your website into any language of your choice. The translation engine is done and released under a limited release for testing while we update the complete client facing framework to be 100% translatable as well as developing the option to have multiple websites in different languages “linked” up to your main website. When we are done you should be able to set up multiple copies of your website using country-specific domain names or subdomains to target your chosen audience while retaining all your previous hard work in terms of your SEO. When done properly all the different language versions of every page will be linked as alternative pages to each other. This will assist in making sure the correct version of a page will be displayed to the correct audience. In each page, the following code will appear and be visible to the search engines for indexing the “English” version of your site. How the translation engine works. On the page where you set your website default information, you will find the “Language” option way down the bottom of that page. To the right of that is a blue “Translations” button that will take you to the section where you can manage the translations. Each and every “word” used in the client side are accessible to you and you can improve the translation and or change the wording to suit your specific needs. The next article will discuss in more detail how to do this as well as how to generate your own “new” translation. How do we determine the preferred language of the website visitor? Basically, there are three options/methods we could use to show the proper page to the visitor. Automatic redirection based on the visitors’ geolocation. Automatic redirection based on the visitors' preferred language set in the browser they are using. This option will look at the information sent by the browser and use that as an indication of what language to show. We opted for the 3rd option because you might have a Canadian living in Japan with a Japanese IP address, but their browser will probably be configured to request English. Using this redirection method not only targets a specific region but will also target specific language groups no matter where in the world they might find themselves.